The shaved ice machine will cool you off on those hot summer days with 3 flavers to choose from and 3 quarts of snowie flavor products you will have something for everyone. 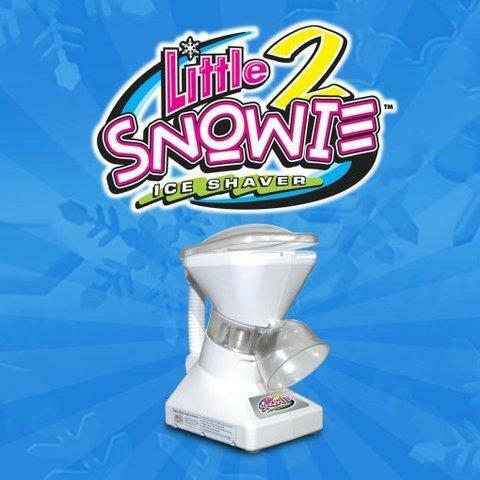 The little snowie comes with enough stuff to flavor 50 snow cones. Our available flavors are cherry, grape, and blue raspberry. You will need to supply your own ice. 1 gallon of syrup need about 30 lbs of ice.